These School Days: Kid-Drawn stickers are a small, fun way to brighten a student's day. 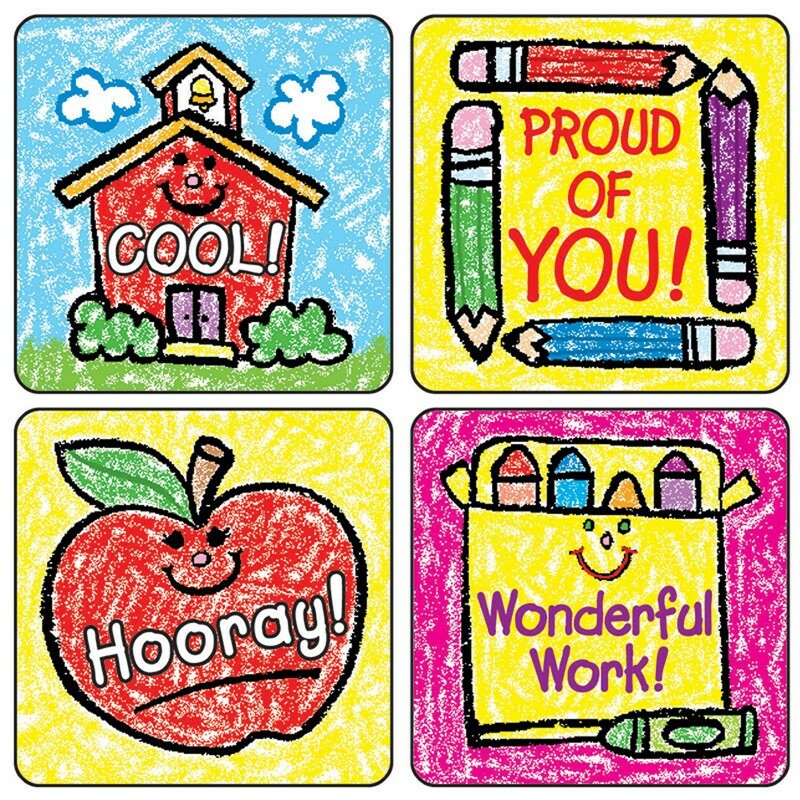 Perfect for reward or recognition, these 1" x 1" motivational stickers feature an apple, a schoolhouse, pencils, and crayons. They come 120 per pack and are acid free and lignin free!